This is for me the best hotel in the Sahara Desert and the place to stay while visiting the amazing dunes of Erg Chebbi South East Morocco. 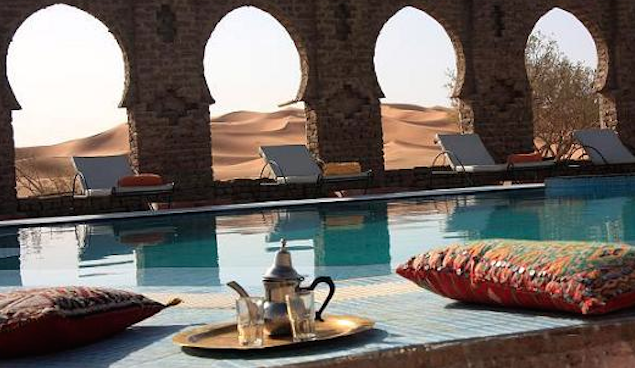 Auberge du Sud makes your journey into the heart of the Moroccan Sahara a truly memorable experience… I’ve been here 4 times, it’s just too special to describe in words. 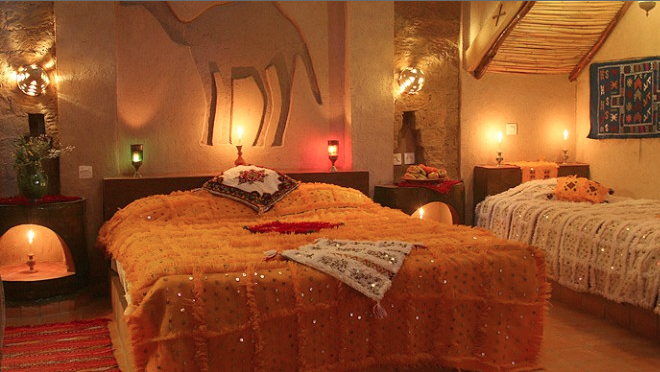 The rooms are decorated with pure Saharan taste are indeed something to remember after visiting. Auberge Café du Sud is located right on the edge of the biggest sand dunes of the whole northwest part of Africa called “The Dunes of Erg Chebbi”, having all the magic, wonderful and unique energy of the Sahara. The Hotel has a restaurant with great Moroccan food with all the typical dishes of the region. The staff is incredible Friendly and invites you to spend time with them and enjoy adventure or relaxation in the Sahara, the most mythic desert of the world. Auberge du Sud has new Luxury rooms decorated with pure Saharan style that Combine traditional Sahara decoration with comfort that will make you remember your stay for ever. They offer you great accommodations with private bathrooms and fantastic Saharan Decoration. Auberge du Sud’s special crew will give you thrill and adventure through out Sahara Desert and organize trips to other amazing places in Morocco. 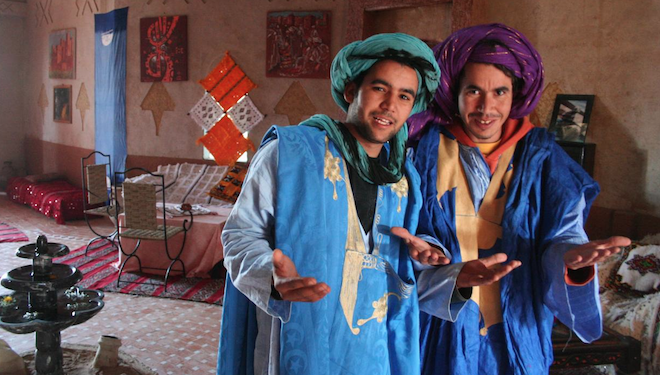 They organize programs like nights in Berber tents below the stars in the Sahara. Berber tents in the Sahara Auberge du Sud has different types of facilities for you and one of the most asked are the Berber tents. Either in the middle of the Sahara or near our main building, you can experience the real life of a nomad inside a real desert tent. This experience is perfect for star lovers and makes the perfect romantic spot for lovers. You can see my video and imagine how fun was that week. Can’t wait to go back again.